UR242 is a 4-in/2-out 24-bit/192 kHz USB audio interface. It is part of Steinberg UR Series and it’s a great choice for musicians, sound designers, DJs, singers and songwriters who need pristine audio and versatility. It comes in a rugged metal case and offers a great portable production solution. UR242 makes it possible to the user record in their notebook, iPad and even iPhone. It comes with Class-A Yamaha’s acclaimed D-PRE preamps and it also includes dspMixFx software, offering zero-latency monitoring along with a set of incredible FX plugins. Although it is fully integrated with Cubase, the unit is compatible with most major production software, such as ProTools, Logic, Live and more. The front panel has two combo XLR/TRS inputs, with independent gain knobs. Input 1 also has a Hi-Z switch so that the user can plug high impedance instruments, such as guitars and basses. Either input 1 or 2 can accept condenser mics since the unit has a +48V phantom power included. There’s a main Output volume knob and also a Phones jack, with a correspondent volume knob. The front panel also has LEDs to indicate input peaks, as well as phantom power switch. The back panel has a power switch, an external power supply jack, USB 2.0 port, Midi In/Out jacks, two Line outputs and finally, Line Inputs 3 and 4. Those ones can be used to connect the interface to digital instruments or a mixer. The product is not class-compliant, so the user needs to download the proper audio driver (usually Asio for Windows machines and CoreAudio for Mac OS). UR242 includes dspMixFx software, which will allow the user to operate the built-in mixer and also DSP effects. The product offers iOS connectivity with iPads and iPhones through the USB 2.0 port (Apple Camera Connection Kit is required). 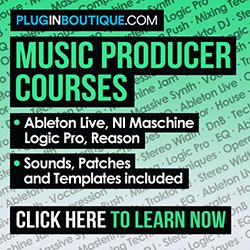 – Includes Cubase AI and Cubasis LE.